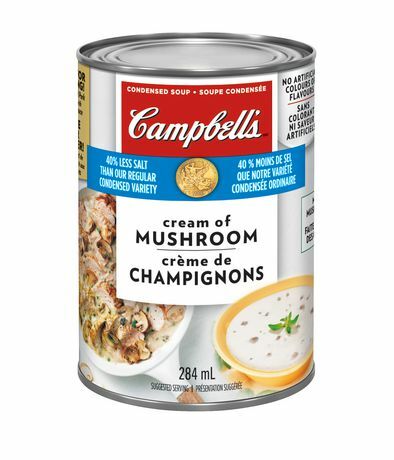 Campbell's cream soups are delicious and satisfying. Enjoy a bowl for a rich and creamy treat or try out a new recipe idea in Get Cooking. 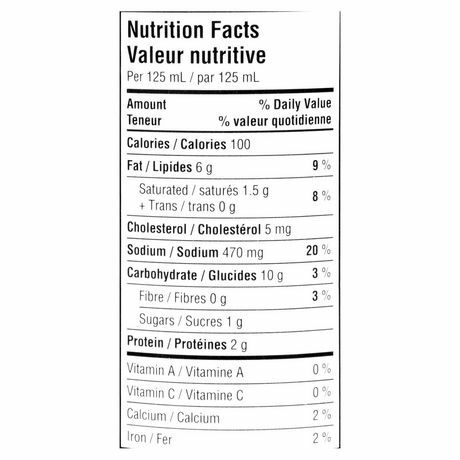 WATER, MUSHROOMS, MODIFIED CORN STARCH, CREAM (MILK), CANOLAOR SOYBEAN OIL, WHEAT FLOUR, BUTTERMILK POWDER, SALT, YEAST EXTRACT, SOYPROTEIN ISOLATE, WHITE WINE, FLAVOUR (CONTAINS DEHYDRATED ONIONS, CHICKEN),SPICE EXTRACTS (CONTAINS CELERY).